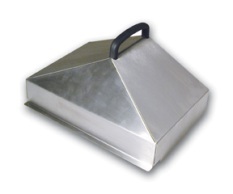 Manufactured from stainless steel and available to fit all sizes of baths to help prevent evaporation losses. Gabled lids provide extra working headroom within the bath. Supported by a ball chain and clip the stainless steel trays can be used to alter the depth of the bath. A ball blanket is an effective way of reducing evaporation and loss of heat from a water bath. 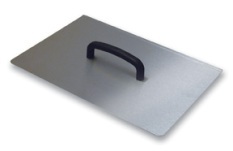 It acts as effectively as a lid, whilst providing instant access to the bath. The 25mm diameter spheres are supplied in packs of 250. 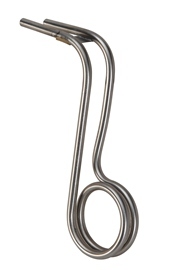 Designed for assisting in cooling a hot bath more rapidly by flowing tap water or chilled liquid through it, this simple coiled tube attaches to the base of all Techne thermoregulators with ease. This cooling coil can be used to cool a bath to 5°C above the cooling liquid supply temperature.